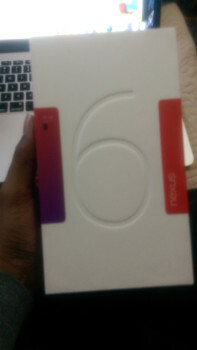 Many folks who pre-ordered their Nexus 6 got one from Google Play as that was the first and only location to punch an order in for a couple of weeks. Motorola surprised everyone by putting it up on their own digital shop, though, and there’s good news for those who went that route — first shipments are beginning to arrive. User Na3im from the Nexus 6 subreddit received his shipment from FedEx this morning in what might be the first documented shipment of a Nexus 6. It surely can’t taste so sweet for anyone who ordered from Google Play and are still awaiting shipment, though those folks are said to be getting their goods as soon as this Wednesday. We’re not sure if others are expected to receive shipment today or if this was a one-off early Christmas gift for one lucky individual, but you should be keeping an eye out on your doorsteps, inboxes and order statuses either way. Let us know if you’ve ordered from Motorola or Google Play and are still waiting for your Nexus 6 to arrive.